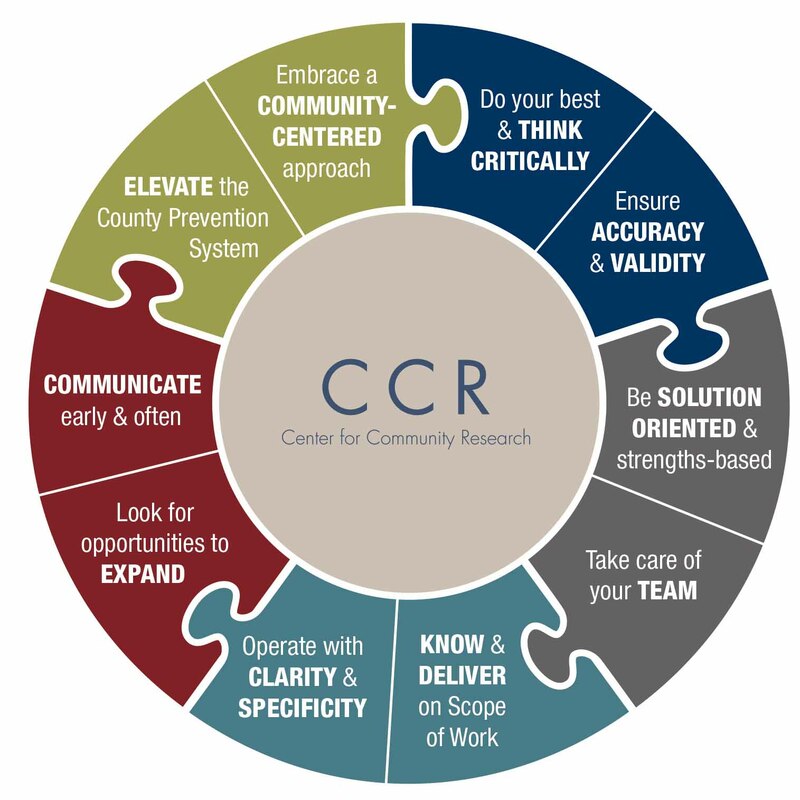 The Center for Community Research (CCR) is a San Diego based non-profit organization dedicated to empowering individuals, community-based organizations and government agencies in achieving their intended outcomes. CCR partners with communities to implement and identify strategies that work. We are committed to enhancing public safety through data-driven strategies and research-based solutions. Our team of seasoned professionals maintains expertise in the fields of alcohol and other drug prevention, public health, mental health, youth development, education, criminal justice and community engagement. CCR has been recognized at the state and national levels for our work in prescription drug abuse prevention, methamphetamine prevention, youth marijuana prevention, and our ability to measure change over time through our signature Community-Empowerment Model (CEM) approach to evaluation.